Dog-gone it’s hot! These must be the DOGDAZ (dayz) of summer. 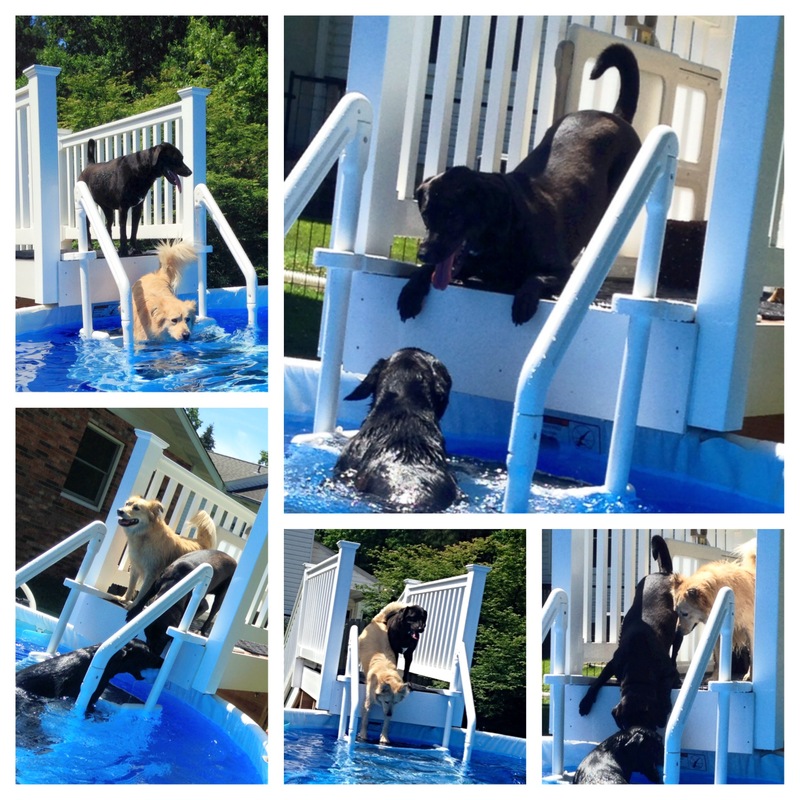 We have so much fun swimming with Mojo and Zelda in their dog pool. Those Labradors love to swim. Lulu will not get in the water, no matter how hot it is. Maybe it is because she is more of a Hound dog than a Lab. Who knows? She hates to get wet. Sofie love love loves to get down and splashy. It takes 3 days for her Sheltie coat to dry but she doesn’t care. BarkOutLoud! I think I will have to break down and snag a pool for next summer. Sometimes I don’t want to drive to the beach with the Boys, and it would be great to have a pool in the back yard. Water fun is a great way to cool off. Cats like to swim too, we understand. But not our cats. Ha! And not my cats either.